SFX Entertainment hopes to turn its subsidiary Beatport into the home of electronic music, its COO Greg Consiglio declared on stage at International Music Summit’s latest trade conference, IMS Ibiza. Talking to industry professionals attending the three-day event, he detailed plans to further integrate Beatport with other SFX activities, from festivals to brand partnerships and ticketing. 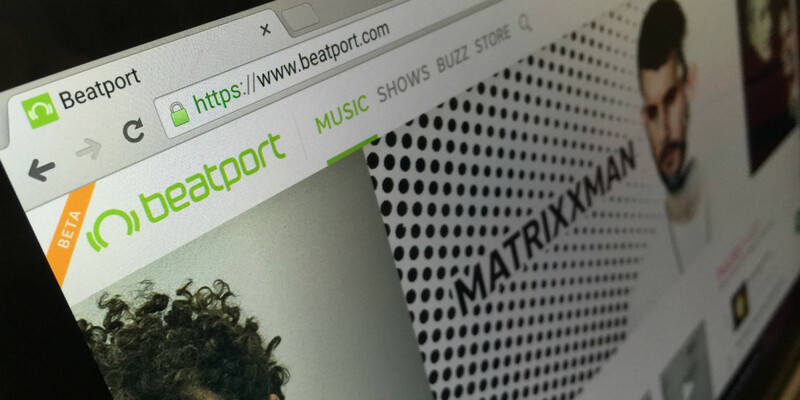 As you may remember, SFX acquired Beatport in 2013 for a reported $50 million. At the time, Beatport was already a decade-old company, which had established itself as a popular destination for DJs, mostly through its online music store, which generated millions in revenue. However, it was also reporting losses, which later led to layoffs, followed by a reshuffle aimed at maximizing synergies with SFX. As Consiglio pointed out during his keynote, Beatport is now much more than a store. Its activities are structured around four pillars: its music store for DJs, rebranded as Beatport Pro; its editorial platform, now called Beatport Buzz; a newly launched show-streaming service Beatport Live and music streaming service Beatport.com, with its companion apps. As you may remember, Beatport’s consumer-facing streaming service was officially launched in December 2014, while its free iOS and Android apps were released last March. Consiglio recalled the rationale behind this move: “The Beatport store had 50 million unique visitors per year, but only 300,000 of those were actually transacting and paying to download music. We had lots of people coming to the platform for other purposes.” Those weren’t necessarily DJs, but rather music fans who were using Beatport’s short track samples to discover new music. With that in mind, the company decided to seize this opportunity and address that larger audience directly. Consiglio also revealed that Beatport would soon become more of a social network, with the ability for those fans to create profiles and follow each other. However, SFX is still betting on Beatport Pro as well. For instance, it made sure that the store would also work from mobile and tablets, Consiglio said. In addition, industry analyst and IMS Business Report author Kevin Watson had previously revealed on stage that there were now ten times more tracks available to download on Beatport as there were in 2008. While Beatport Live’s offering is still limited, it is perhaps one of the promising bets the company has been making. During another panel discussion at IMS Ibiza, music industry veteran and Dubset‘s COO Bob Barbiere described live streaming of events as being about to boom. “The challenge now is how to monetize those streams,” he later told TNW. Although Beatport has perhaps better established competitors in this segment, such as BE-AT.TV and Chew, SFX’s reach could help it find powerful partners and sponsors for its live broadcast. As a matter of fact, SFX’s growing portfolio indirectly includes major dance music festivals across the world, such as Tomorrowland and Mysteryland. Not only could these serve as a content source for Beatport Live, but their sponsors could also easily start supporting parallel activities. As one attendee noted, ‘brand’ was likely the most commonly used word at this year’s IMS Ibiza. Consiglio’s talk was no exception to the rule: “It is very important for us to introduce the brand marketing community to our industry and to our platforms,” he told the audience. “While we may or may not like this term, people look at our industry and our platforms as a way to reach millennials,” he added. This includes companies such as T-Mobile, which has been partnering with SFX on a series of activities. Working with brands can generate revenue for Beatport and SFX, but also for rights holders across its verticals: “We envision extending Beatport Live to our advertisers as well, and we are looking at models that will allow us to share revenue with artists who use the platform,” Consiglio explained. Brand partnerships aside, SFX also hopes to monetize Beatport through ticketing. Its apps already include a Shows section covering upcoming gigs, and could easily be used to sell tickets. While SFX owns both festivals and ticketing companies, Consiglio insisted that the offer would be agnostic, with links to external ticketers to provide the best user experience. In addition, he described Beatport’s approach as non-US centric, which should soon be reflected in its content. “We plan to roll out localized versions of Beatport serving up music curation and editorial content tailored to individual markets such as Brazil, Netherlands, Germany and others,” Consiglio announced. In addition, he revealed that SFX was looking into adding a paid subscription service to Beatport. It would include music, but also exclusive ticket offers, exclusive access to live streams, merchandise and product samples. This could be the key to SFX’s success: having an offer that is horizontal enough to become a one-stop-shop for music fans and brands alike.